ANY SIZES LISTED AS "Ships in 1 week" WILL TAKE 6-8 WEEKS FOR DELIVERY FROM DATE OF ORDER. 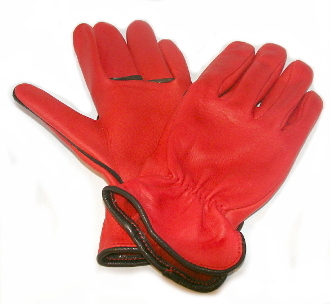 100% DEERSKIN LEATHER Work or Horse riding (Roper) gloves. The number of inches is your approximate unlined glove size. How do I care for my gloves?